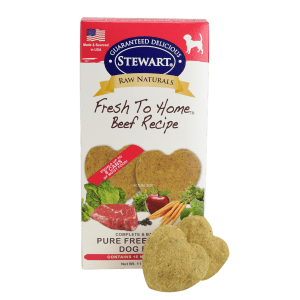 Freeze dried with happy inside! 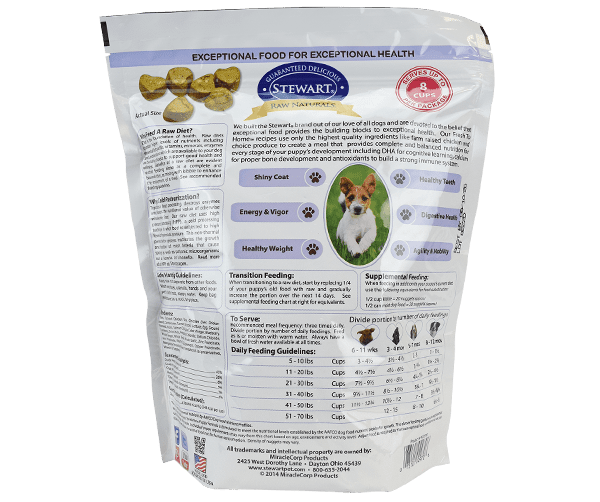 Our food production methods lock in freshness and all the essential nutrients your little puppy needs. All-natural, antibiotic-free poultry is the #1 ingredient. It’s easy for puppies to digest. We add in fruits, vegetables, vitamins and supplements to ensure a complete and balanced diet. 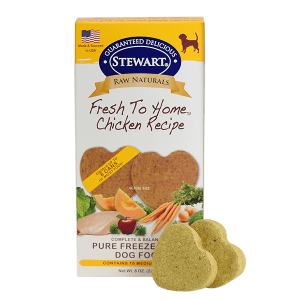 All Stewart Raw Naturals dog foods are reviewed and approved by a certified, licensed pet nutritionist, so you can relax and feed your puppy with confidence. Give your puppy the right start with our grain-free puppy food. 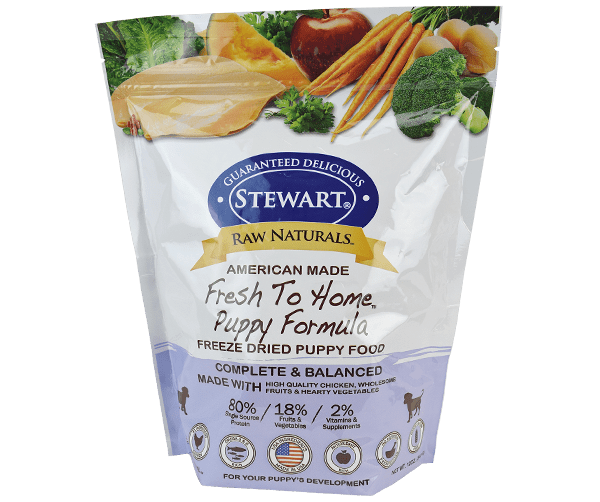 Raw Naturals puppy food helps your puppy grow and thrive. 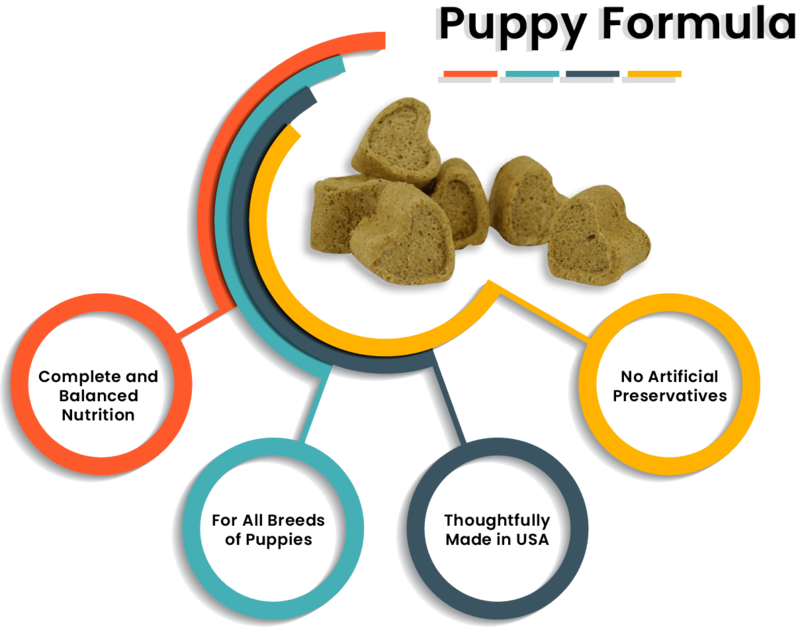 Our grain-free puppy food recipe includes natural DHA to support cognitive learning, calcium for developing bones and the antioxidants your puppy needs for a strong immune system. We’re pet parents, too, so we know how important safety is for your little pup. It’s why we choose only the highest-quality, ingredients.